Pineda Causeway Separation Overpass | DRMP, Inc. 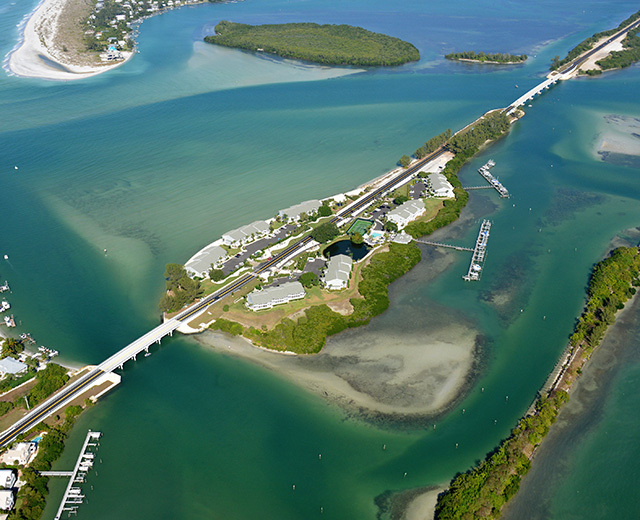 The Pineda Causeway Separation Overpass is an estimated $24 million project located in Brevard County, Florida. As part of the permit to widening Pineda Causeway, Florida East Coast Railway (FEC) mandated elimination of the at-grade crossing to improve mobility and ensure safety in anticipation of the high speed All Aboard Florida trains slated to use these tracks. 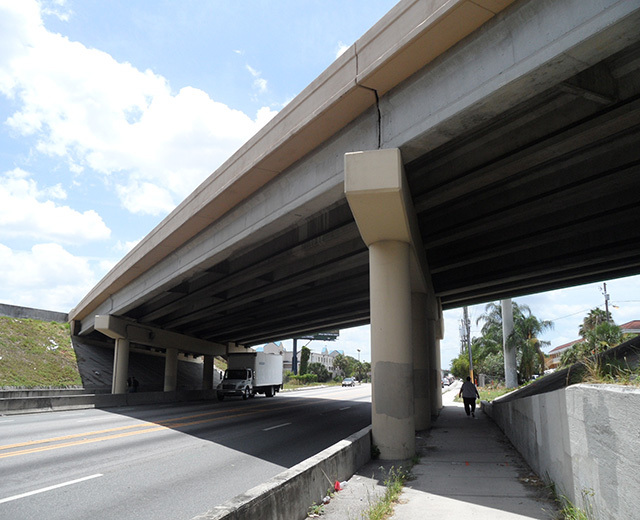 This project involved the design of a grade separated overpass to carry Pineda Causeway over the Florida East Coast Railway which will replace the existing at-grade crossing. The project limits begin just east of N. Wickham Road and end just west of US 1. 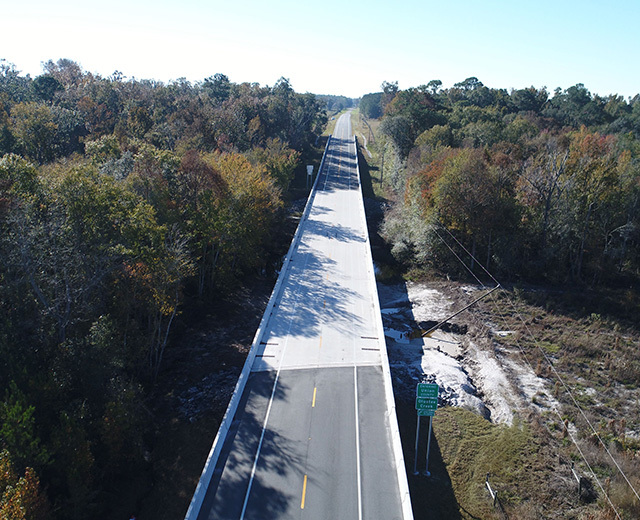 DRMP led the design and plans preparation for the bridge which will span the entire FEC right-of-way with a single, 116-foot span composed of Florida-I 45 Beams founded on driven concrete piles. 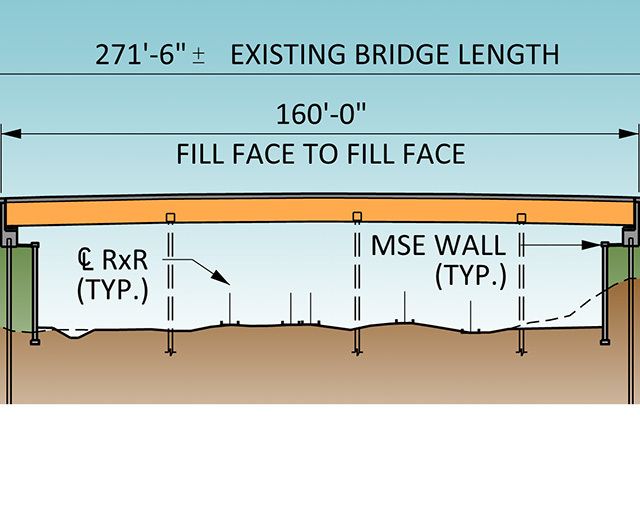 Over 3,000-feet of temporary wall will be used to maintain traffic during construction. This project also includes 2,100-feet of permanent retaining wall and traffic signal mast arms. Upon completion, the overpass will provide a safe way for motorists to cross the active railway and relieve traffic congestion during times of peak traffic. The structure is designed according to bridge over rail standards and minimizes maintenance costs through innovative engineering methodologies.